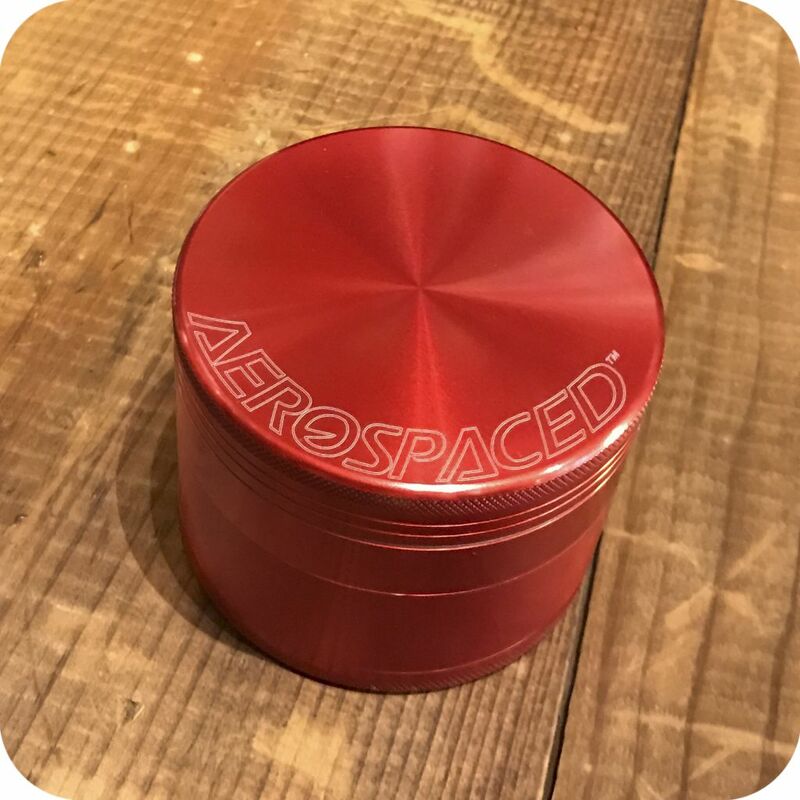 Aerospaced is well-known for producing high-quality grinders that grind your material to perfection in addition to being built to last a lifetime. This four piece metal grinder 90mm has three separate chambers which catch ground material and leftover pollen. 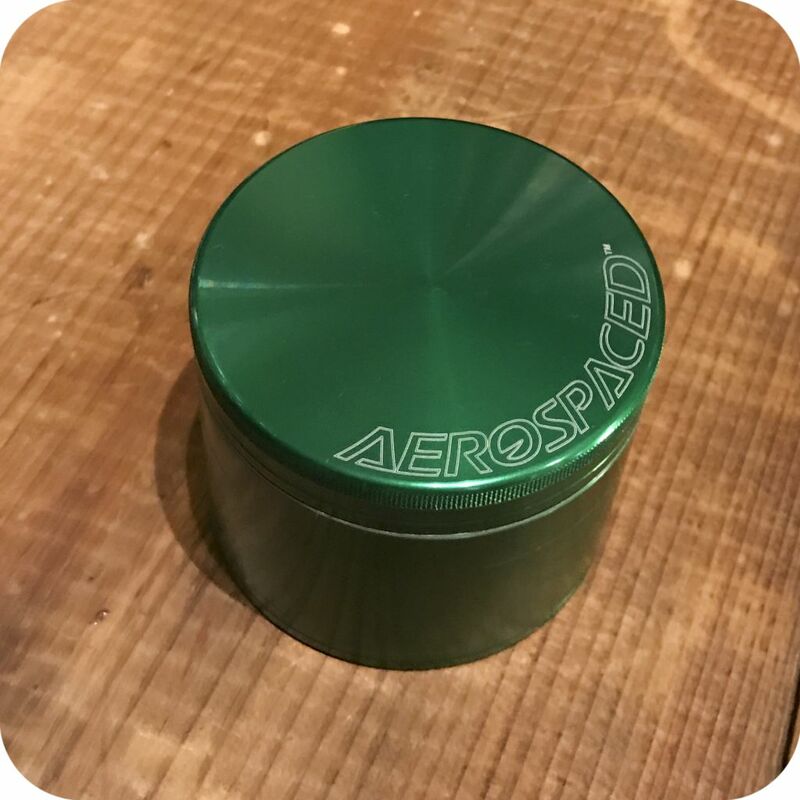 Aerospaced Grinders are made of quality aluminum and are among the best grinders that you can find in the US. 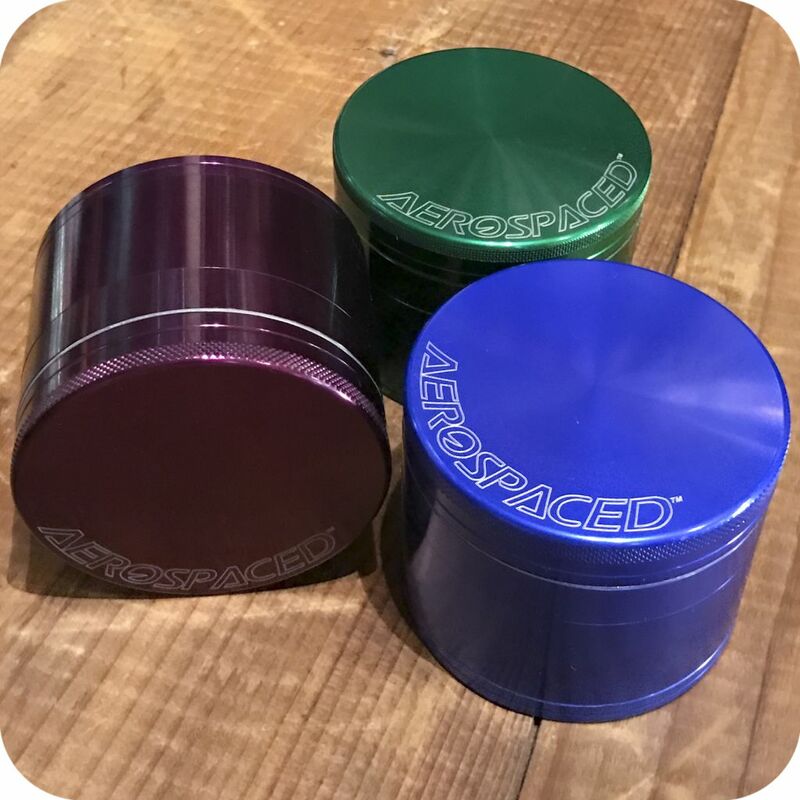 Aerospaced Grinders feature razor sharp teeth that grind your material to perfection. 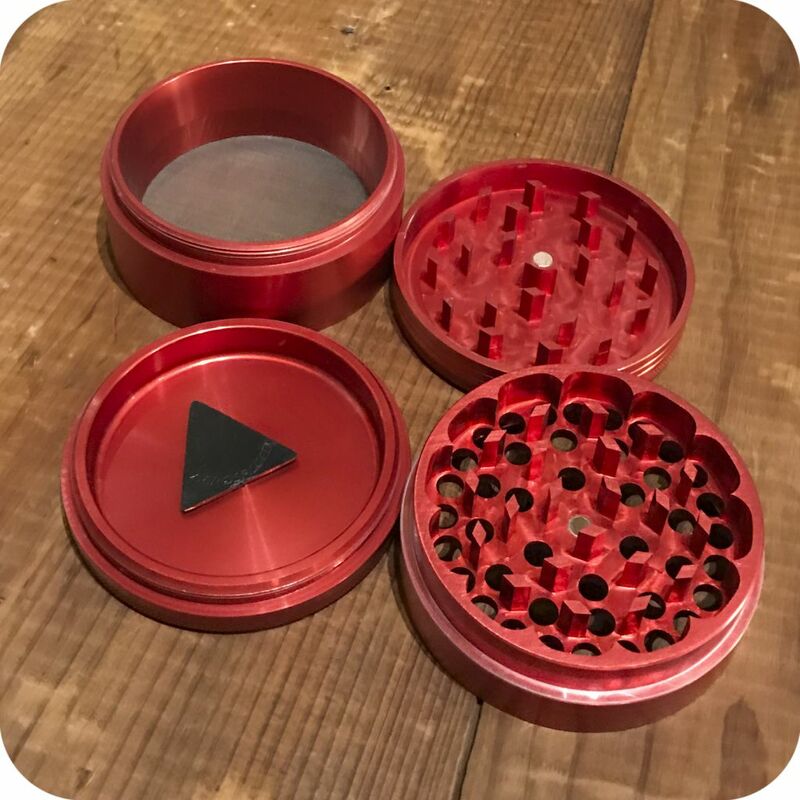 The lid locks in magnetically therefore securing your legal herb into its teeth. Just load up, snap it on, give it a good twist, and voila! Your legal herb will be finely ground and sitting in the second chamber. The second chamber is thoughtfully spacious and can hold much volume, hence making it perfect for storage purposes. 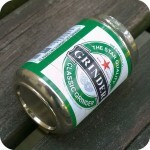 After you’ve ground your material, make sure to give your grinder a good tap. 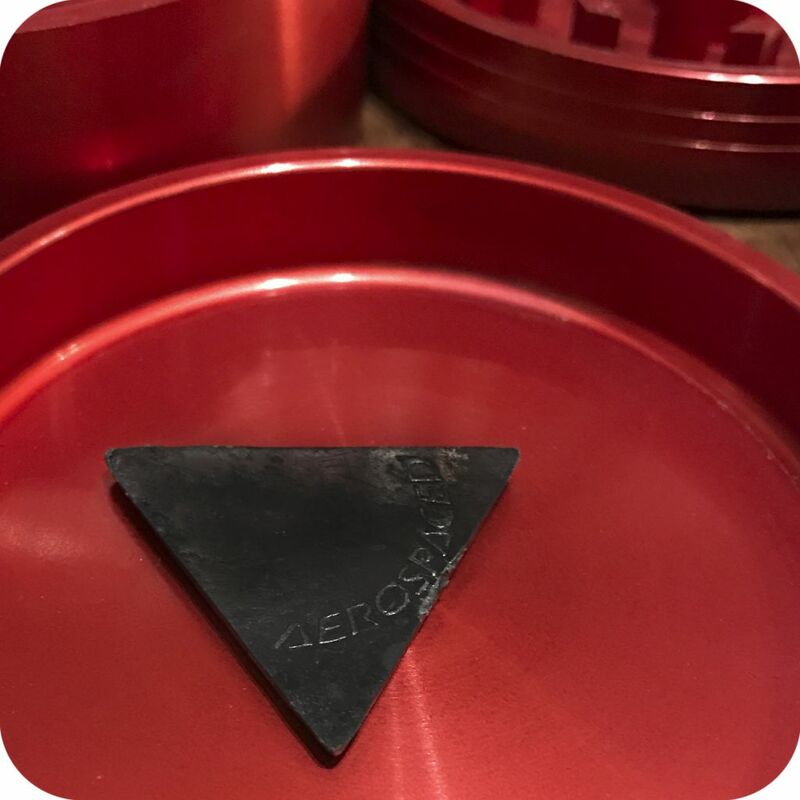 This makes sure that all your pollen drops into the third chamber, thus allowing you to collect the finest of your material. 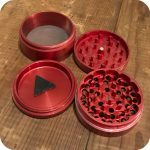 The fine mesh material that makes up to bottom of the second chamber ensures that only the most precious pollen will collect down there. 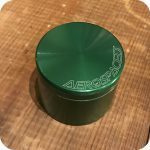 This is probably the best feature of a three chamber grinder because it offers a handy conservation method. Don’t waste your time and precious material hand-picking your herbs apart. 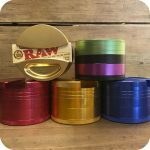 These grinders will keep your fingers clean in addition to saving you pollen that would otherwise be lost. 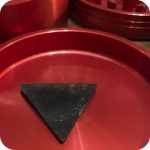 You’ll find your smoke sessions to be much more enjoyable due to the finely-ground nature of your material. The finer ground the herb, the better. Tags: aerospaced grinders, grinders, Metal Grinder.